Like butternut squash, so sweet and smooth? Been hesitant to tackle one because of the cooking time involved? Now, the Instant Pot makes butternut squash quick and easy, and cooked to perfection every time! If you haven’t tried butternut squash yet, let this Instant Pot Butternut Squash recipe be your inspiration. 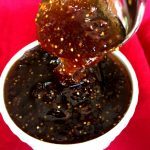 Just 15 minutes in the Instant Pot, and you have the most delicious, smooth, sweet side dish ever! Super simple, and so good, even your picky kids will love it. Eating healthy doesn’t have to mean the same old boring foods. This Instant Pot Butternut Squash can sub for potatoes on the dinner plate, be enjoyed just plain with butter, or sprinkled with some cinnamon or maple syrup. Serve the halves whole or cut into cubes, or scoop out that succulent flesh and mash it up (we love it mashed!). Butternut squash is a great holiday vegetable. It’s really traditional at Thanksgiving in many families, but the time it takes to bake one in the oven – well, who’s got the time? Or an extra oven when you’ve got turkey and pies to cook? Nope, me neither! Your Instant Pot solves this dilemma! Since it so quick and easy, you can make it at the last minute, or prepare it ahead and just reheat! 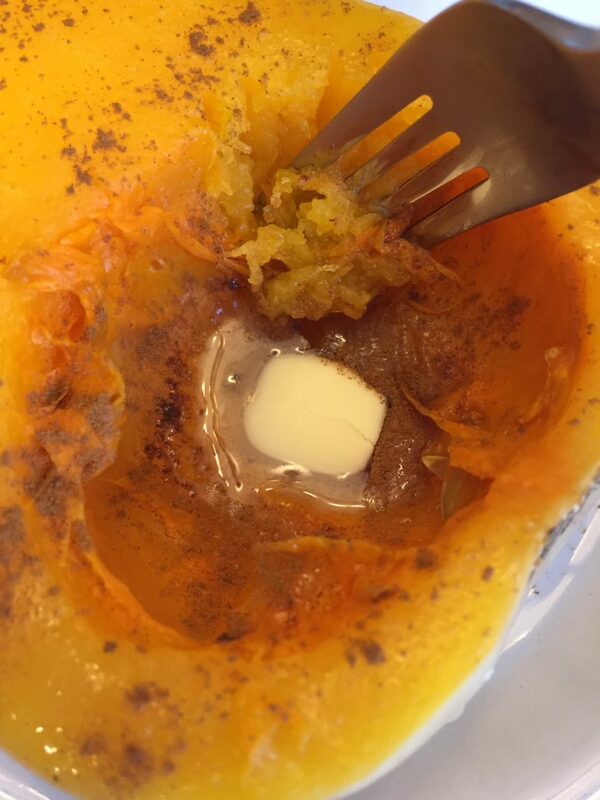 And, did I mention how healthy Instant Pot Butternut squash is? It’s high in fiber, which helps to control cholesterol, and is good for our digestive process, and relatively low in calories (about 100 per serving). 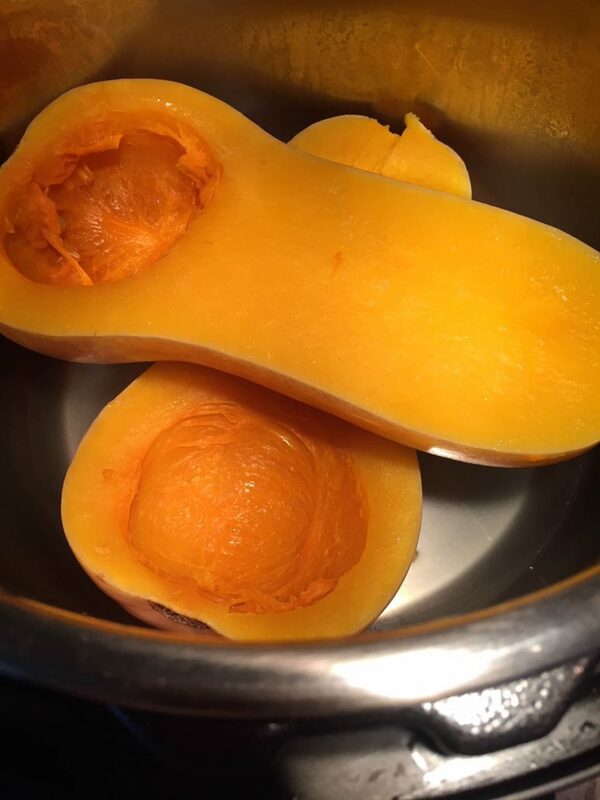 It’s packed with Vitamin C – one serving provides about one-third of our daily RDA, and a good amount of Vitamin E. Butternut Squash is rich in B vitamins like folates, riboflavin, niacin, vitamin B-6, thiamin, and pantothenic acid. And it provides minerals, too, like iron, zinc, copper, calcium, potassium (more than a banana! ), manganese, and phosphorus. Butternut squash gets its orange color from beta carotene, which our body converts to vitamin A, which is essential for healthy eyes. It has more Vitamin A than almost any other vegetable! Tips: (1) Use an ice-cream scoop of scoop the seeds out of the squash. (2) Choose a butternut squash that has a matte color to the skin, rather than a glossy coat – shiny skin means t it was picked too early and will not be as sweet. (3) Save the seeds, and roast them like pumpkin seeds. Not only are they tasty, but they’re an excellent source of dietary fiber and mono-unsaturated fatty acids that benefit heart health. Also, they are rich in protein, minerals, vitamins, and the health promoting amino acid, tryptophan. So what are you waiting for? If you’re on the lookout for a new side dish that’s as delish as it is healthy, look no further: Instant Pot Butternut Squash is going to be your new favorite! 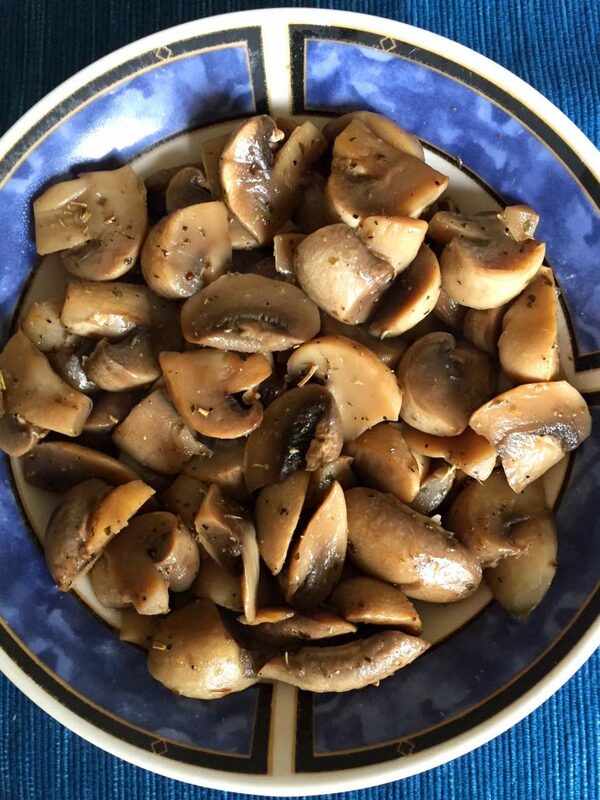 Instant Pot Mushrooms – another simple healthy side dish or even a plant-based main dish! 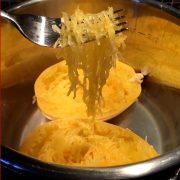 Instant Pot Spaghetti Squash – what a great healthy substitute for pasta! As always, Instant Pot makes it so easy! Instant Pot Salmon – have you ever tried cooking fish in Instant Pot? 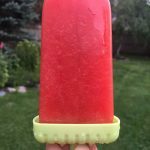 If not, you must try this recipe! Ready in 3 minutes and so succulent! Instant Pot Unstuffed Cabbage Rolls – what a great hearty one-pot meal, you’ll love this easy and healthy dinner! Instant Pot Asparagus – perfectly cooked, so easy to make and elegant! 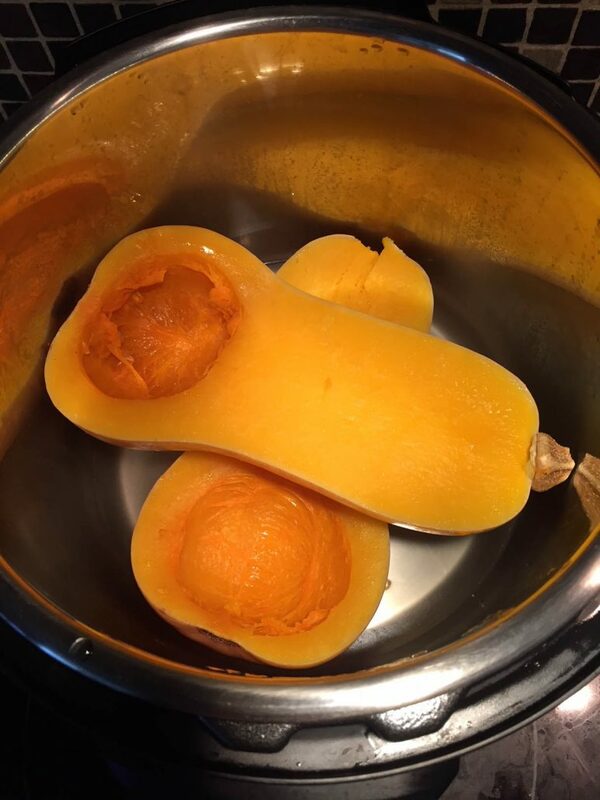 Instant Pot is the easiest method of cooking butternut squash! Instant Pot butternut squash always comes out perfectly cooked without any effort! It tastes amazing! 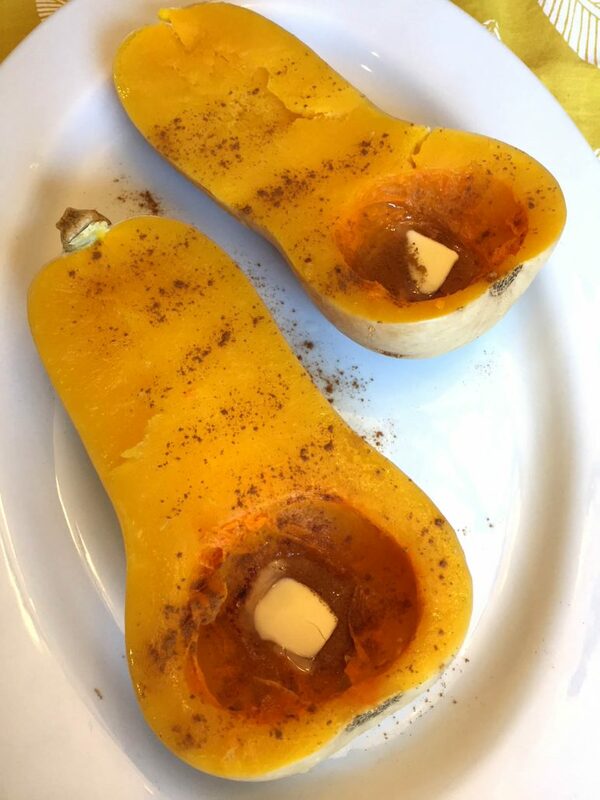 Cut butternut squash in half. Scoop out and discard the seeds. 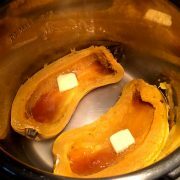 Put butternut squash and water in the Instant Pot. Close the lid and turn the valve to a Sealing position. 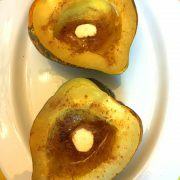 Remove the butternut squash from the Instant Pot, put on a plate and top with butter, maple syrup and cinnamon. 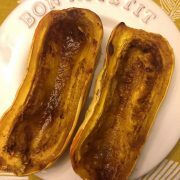 If you want to cook the butternut squash whole, you can do it too! Just put a whole butternut squash and 1 cup of water in the Instant Pot and pressure cook on High for 30 minutes. 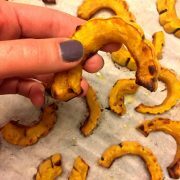 Yes, piercing it first is a good idea 🙂 However, from my experience whole squashes cooked in Instant Pot tend to split anyway, despite piercing it. There is no “explosion” per se, but the skin gets split. That’s why I like to cut it in half, it just looks nicer when cooked.